Mobile Chorus (2006-ongoing) is a 3-minute, 5-part instrumental score, for 5 or more voices, to be performed for variable durations. The score references the earlier audio interludes, Songs I, II, III (2005), which comprise sung instances of the lyric ‘golden’. Mobile Chorus is realised through occasional performances by non-professional singers, according to the instructions below. At Diaspora Pavilion, Mobile Chorus will take place within the artist’s installation, Untitled (Pavilion). 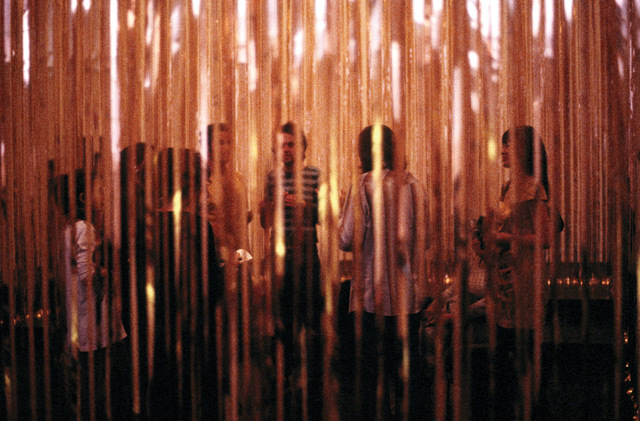 Tags: diaspora pavilion, golden, mobile chorus, performance. Bookmark the permalink.